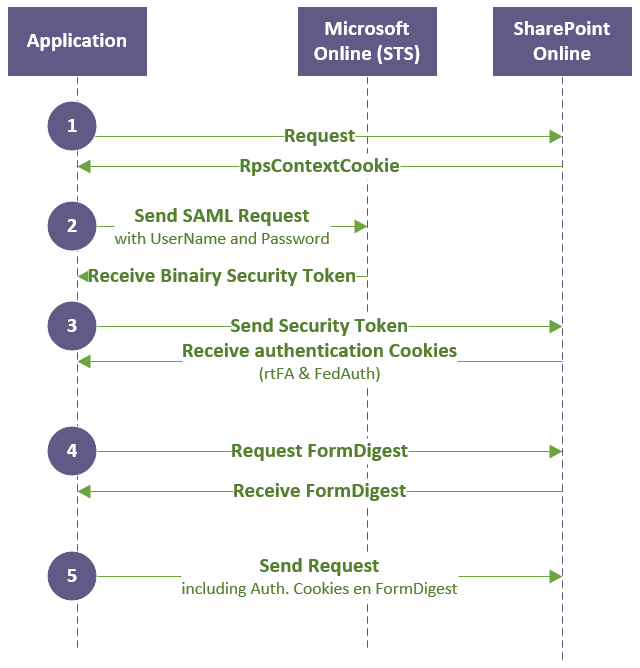 Accessing SharePoint Online with the SharePoint API is quite easy. You just have to create a SharePoint client context using the SharePoint Client assembly. Suppose you cannot reference this SharePoint Client assembly. For example if you want to create a CRM Online Plug-In. These plug-ins live in a sandboxed environment where no external assemblies are allowed. How can you access SharePoint Online? There are several blog post about this topic, but the examples didn’t work for me (Luc Stakenborg and Wictor Wilén). Based on these blog post, my dear colleagues Rene Brauwers and Wesley Bakker and logging in 1000 times at my demo tenant and analyzing the Fiddler logs I came to this solution.